For many of our students, the road to a college degree is strewn with financial obstacles. The Department has a long history of providing financial aid with strong support from our Alumni and Friends. Every dollar invested in our program makes a critical difference in preparing students as leaders in the Earth Sciences community. The Student Field Experiences Fund was started in Fall of 2014 in honor of Kip Hering’s enormous teaching contributions to the Department of Geological Sciences. This fund will enrich the educational experience of students by supporting ‘high impact’ learning experiences, which include attendance at professional meetings, short courses, participation on field trips organized by professional societies, governmental organizations or others, and also field trips organized by the Department as part of a class or research project. These funds will be allocated directly back to students in the form of travel reimbursements. This is a discretionary fund for general use in support of the undergraduate and graduate program. This is a discretionary fund for general use in support of the undergraduate and graduate program. Uses include reduction in the cost of excursions associated with field work in Geol 200, Geol 205, Geol 307, Geol 508 among other courses, Department field trips, support of student research, travel to professional meetings to present research results, recognition of senior undergraduates and graduates who have an outstanding record of scholarship in the Department, upgrading departmental computing facilities, and to bring speakers from outside the SDSU for departmental seminars or workshops. This fund can also be used for needs-based support to students for enrichment experiences, or to help defray financial needs that might jeopardize or interrupt the student’s education. 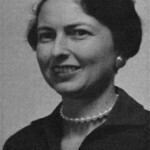 The Awona W. Harrington Scholarship Fund was established in August, 1984, by friends of Awona, following her tragic death as the victim of a drunk driver. The Awona W. Harrington Scholarship Fund was established in August, 1984, by friends of Awona, following her tragic death as the victim of a drunk driver. Her professional life was devoted to developing and enlarging San Diego State University Library’s excellent research collection in science and technology. Awona began her career here at SDSU in 1949 and retired as Science Librarian in 1980. During her career here she was a valued asset always ready to aid students from Department of Geological Sciences in their research efforts. She was a friend and confidant to our students and an esteemed colleague to the faculty and staff. Her day seemed to brighten when she had the opportunity to spend a few minutes with a geology student looking for some long lost and forgotten publication needed for an undergraduate research paper. These precious moments spent together fostered feelings of being special and important in the world of undergraduate research. Following her retirement she was also a volunteer, friend, and associate of the Astronomy Department and Mount Laguna Observatory where she involved herself and with energy and devotion to Observatory administration and public relations. Awona was a friendly, outgoing person, yet also quiet and self-effacing – a person of great warmth, generosity, and humor. The Awona Harrington scholarship is awarded to students showing distinction in the areas of paleontology or stratigraphy. The Baylor Brooks Scholarship was established by Baylor himself, and is awarded to the best student or students that are declared geological sciences majors and who show promise. The success of Geological Sciences at SDSU is rooted in the Department founder, Baylor Brooks, a visionary educator who instituted the culture of undergraduate research and field study for which the Department is widely recognized. Known to those 1930′s-50′s students as the “Skipper,” he enticed them to stray from other callings by creating a fun, safe and family-like academic atmosphere. The glue that held these relationships together included field trips, frequently to areas of abandoned gold mines, where a day of exploring natural and geological wonders would be capped off with a spaghetti dinner, a couple of brews, stories, laughter and camaraderie around the campfire. Born in Des Moines, Iowa, Baylor received his BSc degree in geology from Stanford University and did postgraduate work at Oxford University, Harvard University, and the University of Chicago before joining the faculty of San Diego State Teachers College in 1931. Although only a minor in geology was offered in the early years, the Department became well known because of the caliber of students that Baylor sent to UC Berkeley, Stanford, UCLA and USC, among others institutions, to complete their undergraduate and graduate education. He retired in 1966 but remained active through the 1980s in helping guide the direction of the Department. The Baylor Brooks Scholarship was established by Baylor himself, and is awarded to the best student or students that are declared geological sciences majors and who show promise in two of the following three courses: Geol 205 (Historical Geology), Geol 300 (Geologic Inquiry and Problem Solving), and Geol 221 (Mineralogy). 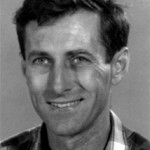 The Gordon Gastil Scholarship was established in 1995 following Gordon’s retirement as Professor of Geological Sciences at San Diego State University. The Gordon Gastil was established in 1995 following Gordon’s retirement as Professor of Geological Sciences at San Diego State University. 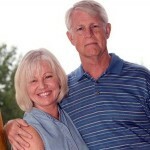 Gordon was born and raised in San Diego and enrolled at San Diego State Teachers College where he came under the influence of Baylor Brooks. At the time, no geology degree was offered at SDSU so Baylor directed Gordon to the UC Berkeley where he completed his BSc and PhD in geology. Following work for Shell Oil Company, service in the U.S. Army, and mining exploration in Canada, Gordon joined San Diego State as a full-time faculty member in 1959. Together with students and colleagues Gordon went on to map thousands of square kilometers in Arizona, California, and Mexico, including the entire state of Baja California Norte! 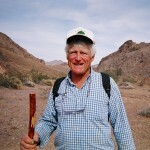 Gordon was able to accomplish his own teaching, research and mapping interests, while at the same time providing students with abundant opportunities for hands-on-learning by encouraging participation in field, laboratory, and library research activities; many of these joint efforts and projects lead to co-authored publications — a real coup for aspiring young geologists. Gordon was awarded the prestigious Dibblee Medal on August 21, 2002 in recognition of his extraordinary accomplishments in field geology and geologic mapping. Although well known for his south-of-the-border mapping efforts in Baja California, Gordon’s broad range of interests and remarkable ability to break new ground across scientific disciplines is truly the hallmark of his rich scientific research career. He freely shared his enthusiasm and ideas with students, colleagues, and anyone else interested in the Earth and ultimately supervised 58 MSc theses at SDSU along with many dozens of undergraduate research projects. The Gastil Scholarship is awarded to students displaying distinction in field geology. The Robinson Undergraduate Research Fund was established in 2010 to maintain and enhance undergraduate student research in the Department of Geological Sciences. In August, 1985, a gift from the Arco Foundation Employee Matching Gift Program was used to establish the Rollin and Caroline Eckis Endowed Scholarship Fund. In August, 1985, a gift from the Arco Foundation Employee Matching Gift Program was used to establish the Rollin and Caroline Eckis Endowed Scholarship Fund. Rollin P. Eckis was a pioneering geologist and former oil company executive who was responsible for discovering major oil fields in the San Joaquin Valley during a career as a geologist that spanned 40 years. His first discovery in 1938 as a field geologist for Richfield Oil Company was the Kern County oil field near Bakersfield. By 1946, he was chief geologist, directing the geology that led to discovery of oil at California’s Cuyama Valley fields and Wheeler Ridge Eocene pool. Named manager of the company’s foreign exploration department in 1954, Eckis supervised the search for oil in Canada, Peru, southern Saudi Arabia, Egypt and the bonanza itself–Alaska. During the late 1950s and 1960s, Eckis sent wave after wave of geologists to Alaska, amassing millions of dollars in expenses with sluggish initial results. 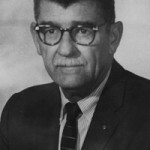 His titles changed–Richfield vice president and in 1962 president, then executive vice president of Arco after the 1966 merger with Atlantic Refining Co. But he was steadfast in his convictions about vast oil fields in Alaska. 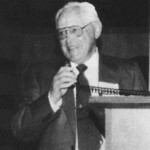 He assured the Greater Anchorage Chamber of Commerce in 1964 that oil production would soon double, triple and more. His resolve led first to oil finds in Cook Inlet and ultimately in 1968 in Prudhoe Bay on the state’s north shore–the biggest oil strike in the Western Hemisphere–which prompted construction of the 800-mile Trans-Alaska Pipeline. Following retirement in 1974 he was a La Jolla resident before passing away at the age of 94 in 1999. Born in Oakland, Rollin moved with his family throughout the Sierra Nevada and San Joaquin Valley while his father looked for gold before settling in San Diego. He graduated from San Diego High School and the San Diego Normal School, the beginning of what is now San Diego State University, before going on for a bachelor of science degree in geology at Pomona College and a master’s degree from the California Institute of Technology in 1929. At Pomona he also explored a little chemistry with classmate Roger Revelle, a lifelong friend, when they distilled Prohibition-era whiskey in the college laboratory. SDSU founded an endowed chair in seismology in 1986 in the name of Eckis and his first wife, Caroline. Rollin “was a brilliant geologist and the most down-to-earth, straightforward and intelligent man I ever knew” recalled Kenneth Hill, a retired petroleum engineer and longtime friend. But oil was never his only concern. He helped organize the city of Bradbury, and in 1957 was elected its first mayor. In retirement, Rollin discovered a talent for watercolor painting–as a geologist he already knew how to sketch. In Gordon’s honor, the Gordon Gastil Legacy Project has establish in perpetuity the “R. Gordon Gastil Library” at SDSU. R. Gordon Gastil (1928-2012) was an internationally renowned geologist known for regional geologic mapping and work on the tectonic evolution of convergent margins. He mapped thousands of square kilometers in Arizona, California, and Mexico, including the entire state of Baja California and was awarded the prestigious Dibblee Medal on August 21, 2002, in recognition of his extraordinary accomplishments in field geology and geologic mapping. Gordon’s insatiable curiosity and geologic insight served as a model for hundreds of San Diego State University students across five decades who learned the art of geologic mapping under his direction. In Gordon’s honor, the Department of Geological Sciences is excited to announce the Gordon Gastil Legacy Project to establish in perpetuity the “R. Gordon Gastil Library” at SDSU. The library will be established in the GMCS building in a 740 ft square room currently used for seminars and faculty meetings. The plan is to refurbish this room to include all of the major maps Gordon was involved in producing – Baja, Sonora, Tiburon – as well as Baja rock samples, and nicely framed field pictures recording Gordon and students through the years. The vision is to create a comfortable, heavily used Department “hub” that reflects Gordon’s career accomplishments and the importance of field training in our profession as an example to all of our students. We need your help! The next critical step is raising the $60K necessary to make the Gastil Library project a reality. Importantly, the Department gets to keep all of the money we raise for the benefit of students in our program – so this is a win-win proposition for the Department. With generous contributions of seed money from John Minch and others, the hope is that we can “hit this one out of the park” and raise the rest of the money in short order. Once this is done and the refurbishment completed there will be an inaugural opening of the Library which we hope will be in 2013.